Connection head from Hi-Temp Solutions is manufactured to stand up to salt spray or corrosive chemicals. Applications include offshore oil platforms, process lines, and sanitary installations. Comes with any combination of 1/2 BSP. Wire nuts or terminal blocks connect RTD or thermocouple sensors to field wiring. Due to the rich involvement and information of this domain, we have been able to provide premium quality of Thermocouple Head. 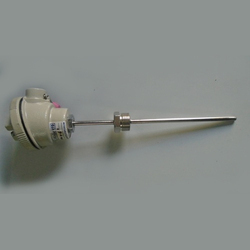 Thermocouple Head Is Used For Cold End Termination Of Thermocouple In A Safe Enclosure. Colors such as Grey, Black etc. available. Types of Sheath:- SS304, SS310, SS316, SS446, Inconel 600 as Per Your Requirement. Matching up with the exact requirements of customers, we are involved in presenting a wide array of Thermocouple Terminal Head. Straight Thermocouple Elements are highly functional, with easy to use connection heads and terminal blocks, which are offered in variety of styles. A simplified Straight Thermocouple Elements have spring loading feature and finds application for general purposes These Thermocouple Elements are manufactured as per client's specific requirement and can be availed at competitive prices. - Colors such as Grey, Black etc. available. These heads are die caste in LM 6 Aluminium and coated with epoxy powder in different colours suitable for Pt-100 and Thermcouples. We are offering Simplex Thermocouple Head to our clients. Our company offers clients qualitative thermocopule head cable gland which are manufactured from grade material. We are quality driven entity manufacturing the range in cognizance with industry standard. 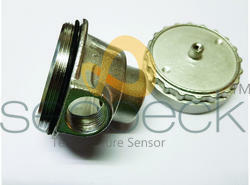 In addition, the assortment is also offered as per client specifications.